A brand new set of print editions. Bryan wanted to capture search and rescue at sea with the MH-60 at the heart. The painting is going to represent modern Coast Guard Aviation search and rescue. The original painting will be presented to the National Museum of Naval Aviation at their symposium this May in honor of the Centennial of Coast Guard Aviation. 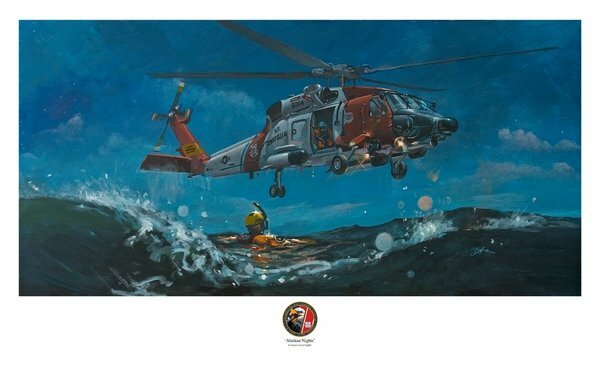 The painting will be a permanent part of their Coast Guard Exhibit and will well represent Modern Coast Guard Aviation.